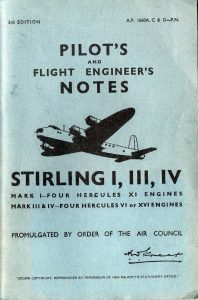 These are the books held by the Squadron Association; they were either written by a member of No 46 Squadron or contain information about the Squadron. Members may borrow them; the only conditions are that the books must be available in time for the Reunions and they pay the P&P. From the young airmen who took their frail machines high above the trenches of World War I and fought their foes in single combat there emerged a renowned company of brilliant aces – among them Ball, Bishop, McCuddon, Collishaw and Mannock – whose legendary feats have echoed down half a century. But behind the elite there were, in the Royal Flying Corps, many hundreds of other airmen who flew their hazardous daily sorties in outdated planes without ever achieving fame. 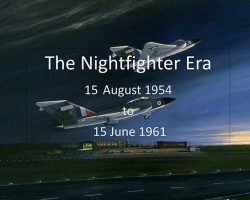 Here is the story of one of these unknown flyers – a story based on letters written on the day, hot on the event, which tells of a young pilot’s progress from fledgling to seasoned fighter. 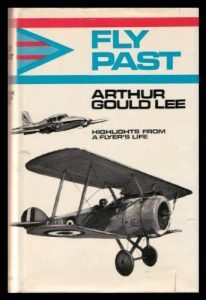 His descriptions of air fighting, sometimes against the Richtofen Circus, of breathless dog-fights between Sopwith Pup and Albatross, are among the most vivid and immediate to come out of World War I. Gould Lee brilliantly conveys the immediacy of air war, the thrills and the terror, in this honest and timeless account. 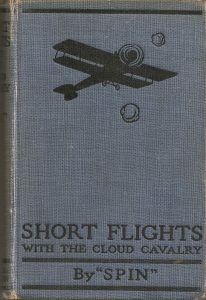 Rising to the rank of air vice-marshal, Gould Lee never forgot the RFC’s needless sacrifices – and in a trio of trenchant appendices he examines, with the mature judgement of a senior officer of the RAF and a graduate of the Staff and Imperial Defence Colleges, the failure of the Army High Command to provide both efficient aeroplanes until mid-1917 and parachutes throughout the war, and General Trenchard’s persistence in a costly and largely ineffective conception of the air offensive. Thanks to a broken leg during flight school, Arthur Stanley Gould Lee gained valuable additional time flying trainers before he was posted to France during World War I. In November 1917 during low level bombing and strafing attacks, he was shot down three times by ground fire. 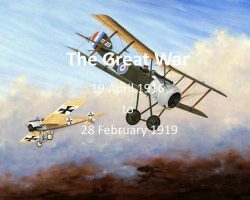 He spent eight months at the front and accumulated 222 hours of flight time in Sopwith Pups and Camels during a staggering 118 patrols; being engaged in combat 56 times. He lived to retire from the RAF as an air vice-marshal in 1946. Author of three books, this is by far his best. 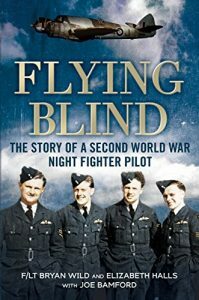 Lee puts you in the cockpit in a riveting account of life as a fighter pilot at the front. At turns humorous and dramatic, this thoughtful, enlightening, true account is a classic to be ranked with Winged Victory by W. V. Yeates, also published by Grub Street. This is Gould Lee’s last book in which he looks back at his best remembered flights throughout both world wars until 1974. Of interest to Andover types is his description of his flight in XS602 from Thorney Island on 16 August 1973. The crew pictured below are Nigel Watson, Trevor Booth, and Don Cook . 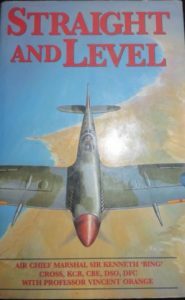 Brilliant, one of the few great books of air warfare. Heartily recommended to any person desiring a vivid, absorbing first-hand narrative of the sort of Homeric hell lived by fighting pilots during the last stages of the war. 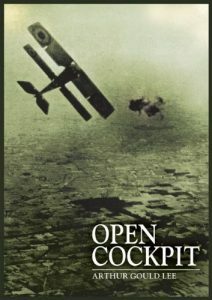 There is no bitter snarl nor self-pity in this classic novel, first published in 1934, about the air war of 1914-1918, based very largely on the author’s experiences. Combat, loneliness, fatigue, fear, comradeship, women, excitement – all are built into a vigorous and authentic structure by one of the most valiant pilots of the then Royal Flying Corps. Winged Victor is a biography of Victor Maslin Yeates, a WW1 Sopwith Camel pilot who served on 46 and 80 Squadrons and whose novel Winged Victory is widely considered to be one of the classics on aerial warfare in the Great War. 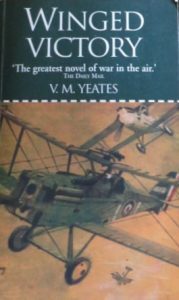 It is often quoted as an authoritative source as Yeates relied heavily on his own experiences of flying on the Western Front during the German ‘March Push’ and the Allied offensive in August. Yeates wrote the book hoping to provide funds to maintain his wife and four children when he became incapable of working due to TB, attributable to the strain of combat flying during the War. Written when he was in and out of sanatoriums, Winged Victory was finally published in June 1934, just six months before his death. 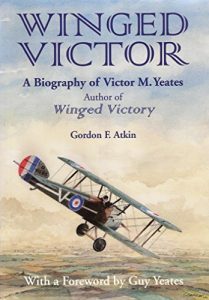 With the co-operation of his three surviving children who have provided access to family papers, Winged Victor also explores the factual aspects of Yeates’ book through a detailed examination of his log book entries, letters to his family and the official Squadron records held in the National Archives. The original manuscripts of Winged Victory and Family Life (a novel he was writing when he died) are deposited with The University of Texas at Austin and these have also been consulted. This research gives an insight into how Yeates’ novel came to be written, from the original suggestion of his old school friend, the author Henry Williamson, to the eventual publication some fourteen months later when it received high praise from T. E. Lawrence. Guy Yeates, Victor’s son, has written the Foreword, and the book is illustrated with a map and over 70 photographs, many of which have not been published before. An important inclusion in the Appendices is the text of a previous unseen chapter of Winged Victory omitted from the published version. Bob Kay joined the RFC at the same time as my father (Normie Dimmock) and they became friends as they followed the same route through training and into active service. They shared rooms during theory training at Oxford, basic flying training at Netheravon, advanced training at Wyton, and on the Western Front with 46 Squadron. 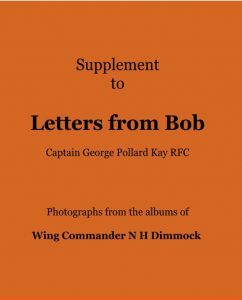 There are numerous references to ‘Dimmock’ in Letters from Bob. Likewise my father’s photograph albums have numerous pictures of ‘Kay’, and also pictures which illustrate events described in Bob’s letters. I have collated these pictures into a Supplement to Letters from Bob cross-referencing them to the relevant pages in Letters from Bob. John Dimmock writes. The author of this book is given as Spin but My father told me it is the pseudonym of Lieut. Thompson, who was an observer, and the Squadron recording officer, when 46 were flying Nieuports out of Droglandt. The book was published at or near the end of the Great War, and is a collection of short tales, based on actual happenings but with names disguised, e.g. ‘Archant’ for ‘Marchant’. Thompson appears in the group photograph on the website., so maybe he could get a mention as an author. The book has been reprinted fairly recently as a reproduction, but it seems that nobody except me knows who Spin was, nor the 46 Squadron connection. 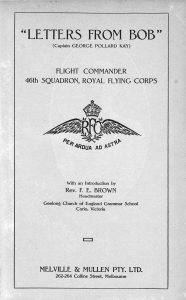 The Squadron has a PDF version if anyone would like it. 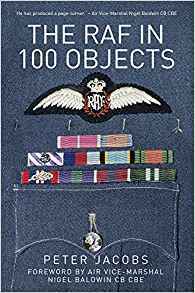 This book gives an excellent overview of the Campaign which figures so highly in the history of No 46 Squadron. Many of the photographs in the book were provided by the Squadron. 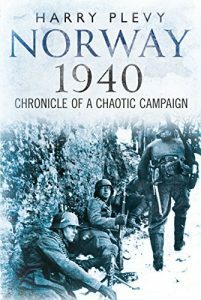 Ostensibly fought for control of Swedish iron ore to Germany, the Norwegian Campaign made an important but largely overlooked contribution to the conduct of the Second World War. It convincingly proved the supremacy of air power in modern warfare and, particularly, the vulnerability of land and sea forces to sustained undefended air assault. It was the first conflict in which one side, the Germans, used all three arms of their forces in integrated combined assault-Blitzkreig-and in which parachute and glider-borne troops were used to secure airfields and strategic targets. In contrast, the Allies tried to conduct the campaign on land, with an over-reliance on infantrymen and inadequate air support. The book deals with the strategic and political imperatives in an integrated and comprehensive manner, as well as operations, in a complex and rapidly changing two-month campaign.While other books on the campaign have tended to focus on a limited perspective, such as naval operations or the higher levels of political decision making, with no combatant or personal perspective; this book makes much use of many previously unpublished contemporary writings and eyewitness accounts of the people actually involved in the Norwegian Campaign. Kenneth ‘Bing’ Cross was commissioned in the RAF in April 1930 to begin life as a career airman. From 1931 to 1934 he was with 25 Squadron at Hawkinge and was a member of the aerobatic team which performed at Hendon in 1933 with its wings tied together, to the delight of a massive crowd. 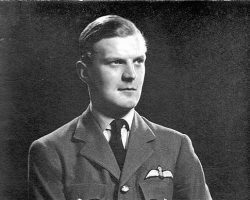 After becoming a Flying Instructor in 1935 and seeing service with the Cambridge University Air Squadron, the outbreak of war found him as Commander of 46 Squadron. 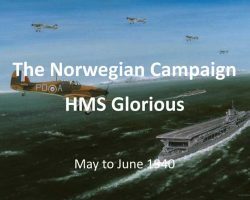 It was this squadron which took part in the Norwegian campaign and covered the Allied evacuation during which HMS Glorious was sunk with Cross and his men and aircraft aboard. 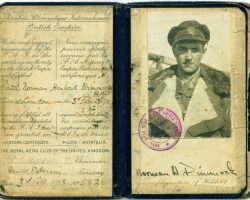 Squadron Leader Cross, as he then was, jumped overboard, climbed onto a raft, and with others miraculously survived, though Cross himself became seriously ill. He returned to service in 12 Group Operations Room under Air Vice-Marshal Leigh-Mallory to oversee the Battle of Britain, then, in December 1940 was given command of 252 Fighter Wing in the Middle East. In the autumn of 1941 he was transferred to the Western Desert and in 1942 became Commander of 219 Group, charged with defence of the Delta. Remaining in the Mediterranean in 1943 and ’44 as Air Officer Commanding Cyrenaica, then later of 242 Group in Tunisia, Bing returned once more to the UK in March 1944 to serve as Air Ofﬁcer Training at HQ, AEF, then, successively, Director of Overseas Operations, Director of Tactical Operations and Director of Fighter Operations at the Air Ministry, where he ended the war. It is at this point also that the autobiography ends. 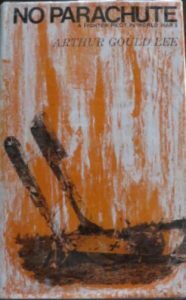 His story, written in conjunction with Professor Vincent Orange, is immensely interesting and entertaining, covering not only exceptional service achievements but also excellent performances on the sports ﬁeld. (He played rugby for the RAF, Harlequins and Sussex, and golf for the RAF). He includes a moving tribute to his brother Ian, and throughout, his account is punctuated with famous and distinguished names — Churchill, Smuts, Trenchard, Leigh-Mallory,Tedder, Coningham, Park, Broadhurst, Embry and many more. His insights into them and the way they worked are well worth reading. In a career packed full of incident, Bing deals with the events he experienced and witnessed ﬁrst- hand in a blunt, sometimes outspoken way. As a planner he was second to none and he never ﬂinched when tough decisions had to be made. His impressive record, presented here for the ﬁrst time, speaks for itself. Following the Casablanca Conference in January 1943, at which the Americans refused to back Britain’s plan to invade the Dodecanese Islands in the Aegean, to be followed by an invasion of the Greek mainland, a weakened British attempt was made with disastrous results. The Americans wished to concentrate all their forces in capturing Sicily and then invading southern Italy. 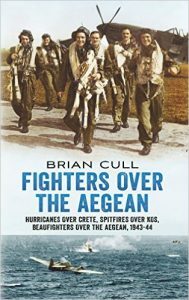 In this first comprehensive account of aerial operations over the Eastern Mediterranean/Aegean, the first chapter covers the disastrous Hurricane attack on Crete (Operation Thesis), an attempt to divert Axis attention from Sicily; subsequent chapters deal with British landings on the islands of Kos and Leros when Spitfires vainly attempted to hold the Luftwaffe at bay. Meanwhile, Beaufighters flying from North Africa and Cyprus roamed over the Aegean attacking shipping and aerial transports with success but at a heavy cost, until the Germans withdrew from the Aegean and the Greek mainland. In addition, specially modified Spitfires are detailed to combat pressurised high-altitude Ju 87 spy planes used by the Luftwaffe based on Crete, and the Fleet Air Arm with its Seafires, Wildcats and Hellcats over the Aegean. Also, the book includes many first-hand accounts from both British and German aircrew extracted from official reports and memoirs. Bryan Wild joined the RAF in 1940, a raw recruit not long out of school. Over the next 5 years he flew 14 different types of aircraft and saw action over Britain, North Africa, the Mediterranean and Germany. His memoirs capture the daily life of this Everyman of RAF pilots: the thrill of flying and experiencing a new aircraft for the first time; the frisson of night flying in the early days when planes were not equipped with inboard radar; the tedium of hanging around with nothing to do contrasting with the intensity and urgency of action; deep comradeships, and the devastating loss of friends in combat. Wild started the war with nine lives and ended up with just the one: he had close shaves with death in action but also freak accidents, such as radio breakdown in fog over the Welsh mountains, an undercarriage stick that broke off in his hand, goggles that caught on Spitfire cockpit hood during flight, causing a near-fatal spin at 1,000 ft; a runway collision with an errant cook wagon. This book portrays the flavour of wartime RAF life as much as one pilot’s journey from boyhood to manhood. Well you never know when these could come in handy! Presented to the Squadron by Don Mason at the 100th Reunion. Don also kindly donated a large scale model of a Stirling that he assembled himself. The Gloster Javelin was the UK’s first line of night and all-weather air defence both at home and in RAF Germany. In the 1950s, when it replaced the Meteor and Venom, this revolutionary bomber/interceptor became the focus of many great stories told here in terrific detail. With an unorthodox aerodynamic design, the Javelin initially had major production issues, which involved a tendency for engines to self-destruct under certain conditions. Despite this and the criticism it faced, its nicknames included ‘Flying Flat-Iron’ and ‘Harmonious Dragmaster’, the aircraft still receives much affection from its former aircrew. 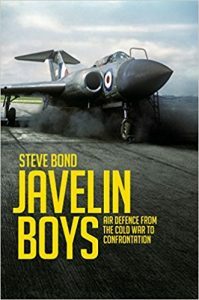 Starting from the first deliveries of Javelins in 1956 until the final withdrawal from RAF squadron use in 1968, Javelin Boys describes adventures in Cyprus, Singapore during the Indonesian Confrontation and Zambia during the Rhodesian declaration of UDI. In this period a total of 434 Javelins were built, with their use spanning across eighteen different squadrons. Steve Bond has interviewed a number of veterans, all with captivating tales of their time on the aircraft. Alongside their anecdotes is a detailed history of this unusual aircraft, accompanied by photography never seen before in print. This book is bound to appeal to all aviation fans. The RAF’s only delta-winged fighter – the Gloster Javelin was also Britain’s first true All-Weather Fighter. Based in the UK and in Germany, the RAF’s Javelin squadrons formed the front line of Britain’s air defences in the late 1950s and early 1960s. 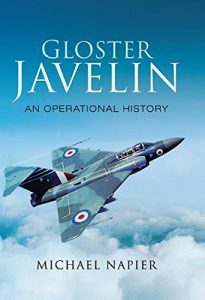 During this time Javelin crews pioneered the operational use of guided missiles and air-to-air refuelling by fighter aircraft. In the Far East, Javelins were involved in operations during the Indonesian Confrontation and the aircraft was also deployed to Zambia during the Rhodesian UDI Crisis. In this history, which is richly illustrated with many previously unpublished photographs, Michael Napier blends official records with personal accounts to describe the operational history of this iconic jet fighter. 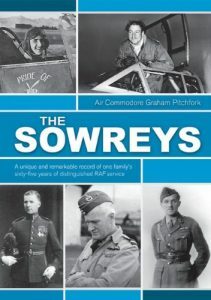 A fascinating look into the extraordinary history of the Sowrey family; an RAF dynasty whose service spans the first sixty-five years of the RAF’s existence. Members fought in both world wars and five of the Sowreys were awarded the Air Force Cross, amongst their other numerous decorations. Three brothers, John, Fred and William, all served in World War I with distinction before service in Iraq and the Middle East. The next generation of Sowreys started at Cranwell in 1938; one was killed in action in the Western Desert but John Jr. and Freddie served throughout, on fighter operations in the desert and north-west Europe, whilst a sister served in the WAAF. Also during World War II Air Cdre William Sowrey served as an AOC in the often-forgotten campaign in East Africa. John Sowrey went on to become a test pilot in the halcyon days of 1950-fighters and Freddie served in fighters before taking up more senior policy and diplomatic appointments during the Cold War. Their diverse individual careers and experiences worldwide provide great scope for study into the history and development of the RAF from World War I to the later stages of the Cold War. The author, Graham Pitchfork, spent thirty-six years in the RAF, as a navigator, and commanded a Buccaneer squadron, Director of Air Warfare and, before retiring in 1995, was a Director of Military Intelligence at the Ministry of Defense. He has collaborated with Air Marshal Sir Freddie Sowrey, founder of the RAF Historical Society, gaining access to valuable records and a superb collection of photographs in order to bring to life an extremely engaging and enlightening tale of this most brave and unique of families.